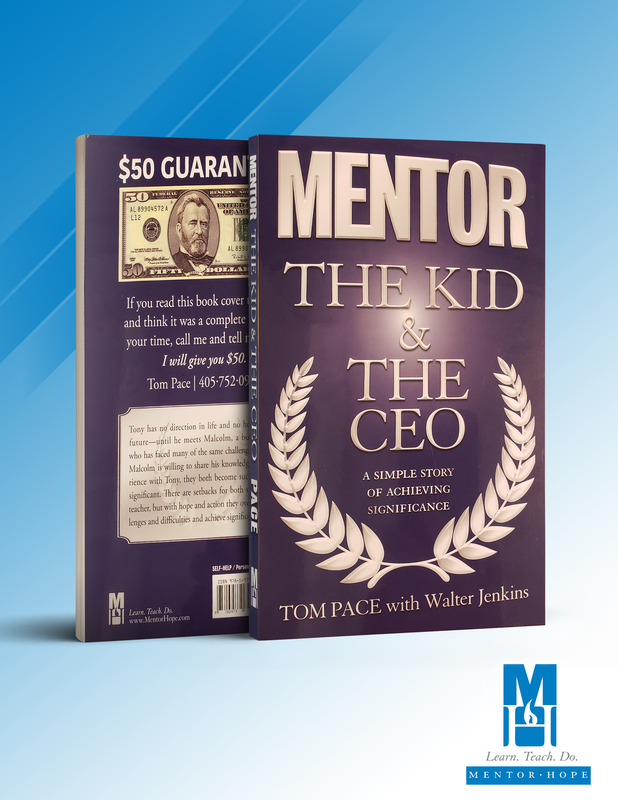 The softcover copy of Tom Pace’s award-winning book “The Kid & the CEO” is a great read for people of all ages. Principals, teachers, and parents have seen success on many levels with this book. The testimonies speak for themselves. The softcover copy of this print is readily available for purchase any time. The story follows the real life events of a boy named Tony. He is a troubled teen with no direction in life. He soon finds himself in jail due to his actions, with no seeming way out. The book outlines characteristics of respect, discipline, and leadership. Parents, instructors, and staff the nation over have found value in this tale of significance. We urge all parents to take charge of their child’s future, and grab a copy of this award-winning novel. Give your students and children a great start today!